WikiLeaks claims to have many thousands of sources but does not collaborate with states in the publication of documents, its editorial board said late Sunday. The statement by the board of the whistleblowing site assumes significance after the administration of U.S. President Barack Obama charged that it and other sites had released allegedly hacked emails under the direction of Russia. WikiLeaks has leaked mails from the Democratic National Committee that showed that the Democratic Party’s national strategy and fund-raising committee had favored Hillary Clinton over her rival Senator Bernie Sanders for the Democratic Party nomination. The website has also published mails from the account of John Podesta, chairman of Clinton's campaign for the presidential election, which could prove to be embarrassing to the candidate. “The recent disclosures of alleged hacked e-mails on sites like DCLeaks.com and WikiLeaks and by the Guccifer 2.0 online persona are consistent with the methods and motivations of Russian-directed efforts,” according to a joint statement earlier this month from the Department of Homeland Security and the Office of the Director of National Intelligence. On Sunday, WikiLeaks released the 16th part of the “Podesta Emails,” which have proven to be awkward for the Clinton campaign. The editorial board, however, said that WikiLeaks’ founder Julian Assange has not endorsed any candidate for the election. 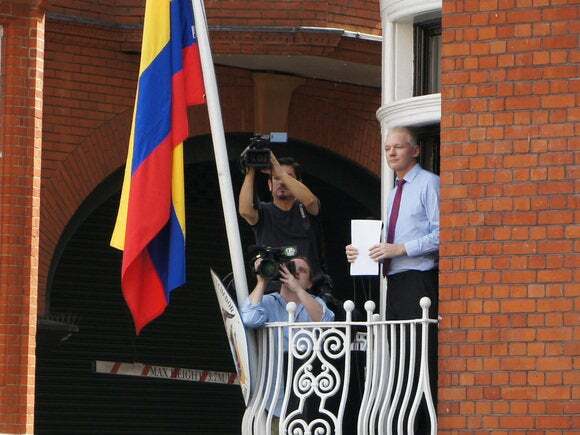 Assange was given asylum by Ecuador in 2012 after he slipped into the country’s embassy in London, where he continues to be holed for fear of arrest by U.K. police. The police have said that they have to arrest Assange if he steps out of the embassy to meet an extradition request from Sweden in connection with a sexual assault investigation. Assange and his supporters fear that he will be extradited from Sweden to the U.S. to face espionage charges. Ecuador’s embassy in the U.K. defended cutting off Assange's internet saying that the country does not want to interfere in elections in other countries. "The government of Ecuador respects the principle of non-intervention in the affairs of other countries," it said in a statement. "It does not interfere in external electoral processes or support a particular candidate." The WikiLeaks editorial board on Sunday said that Assange had not transmitted documents related to the U.S. election from the embassy. It said its “journalistic work” is published from large data centers in Germany, the Netherlands, Norway and France, among others. Most WikiLeaks staff and lawyers reside in the EU or the U.S. and have not been disrupted, it added. "WikiLeaks has never published from jurisdiction of Ecuador and has no plans to do so," the board said.